The Memphis Rodders Reunion roared back into the spotlight on November 20th, with lots of good times for all attendees. 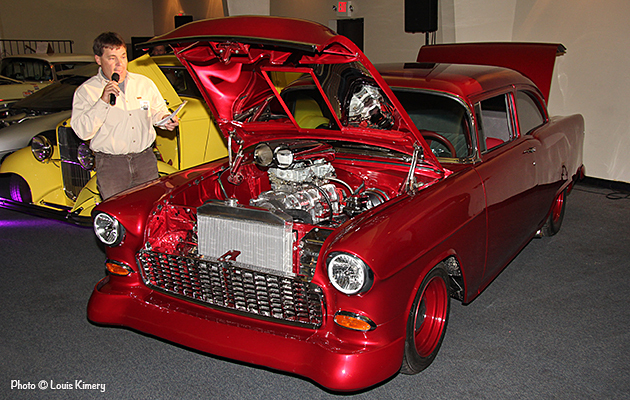 MC Lin Neal (above) gives the audience an overview of Jerry Pike’s slick 55 Chevy that was among the display cars on hand. Plans for the upcoming Memphis Rodders Reunion are taking shape. This faux magazine cover is a nod to the now defunct Popular Hot Rodding magazine, and also serves as the invitation for the 2014 reunion. Memphis Rodders Reunion Returns for 2014! 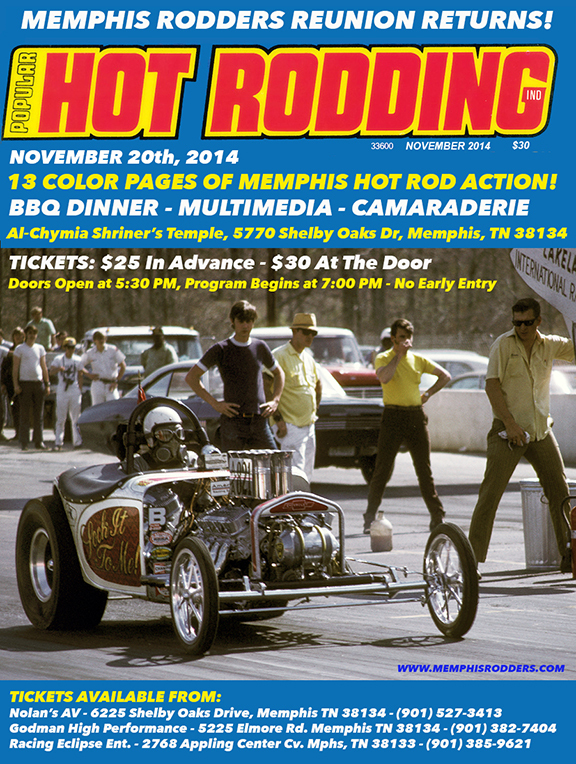 The Memphis Rodders Reunion returns on the traditional Thursday before Thanksgiving this year (November 20th, 2014). 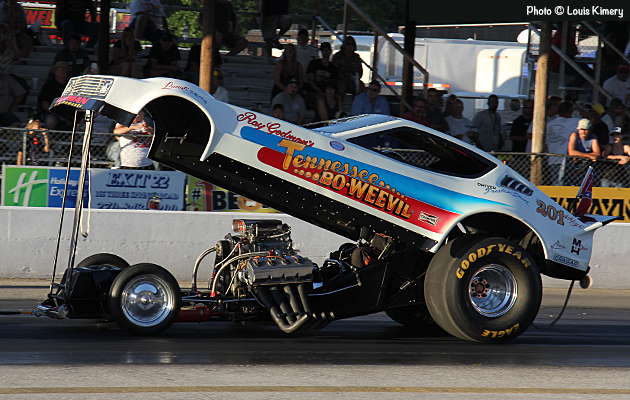 The same spirit of hot rod camaraderie will give cause for a celebration of the Memphis Rodders history, and a look at current trends. The beneficiary will remain the Shriners Burn Transportation Fund. Make plans to attend today!